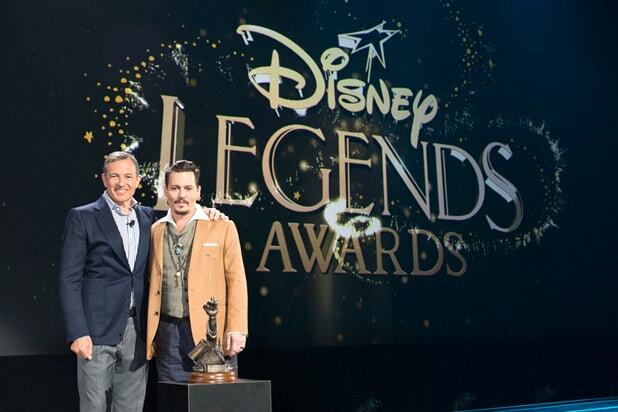 Johnny Depp made a surprise appearance at Disney’s D23 Expo on Friday, becoming a member of the 2015 class of Disney Legends. The Disney Legends are members of an exclusive group selected by the company for their contributions to the Walt Disney Brand. Depp joined fellow inductees George Lucas, Danny Elfman and Susan Lucci among others in accepting the honor. “I don’t know why I’m here,” Depp joked when he took the stage at the Anaheim Convention Center in California. Meawhile, Susan Lucci is known for her role on the long-running ABC soap opera “All My Children.” She played Erica Kane on the show for 41 years, earning 21 Daytime Emmy Nominations in the process. Each new Disney Legend received a sculpture signifying their contributions to the Company and had their handprints cast in bronze which will be displayed in the Disney Legends Plaza in Burbank.